Mary Elizabeth Middendorf was born on July 30, 1926 in Cincinnati, Ohio to Clement Joseph and Hedwig Elizabeth Olding Middendorf. Whenever a child was born in the Middendorf family; Mary’s grandmother, Mary Elizabeth Olding, for whom Mary was named came and helped with the family . Mary’s brother, Ronald, was not happy when Mary was born. He told his grandmother to get that girl out of here. He did not want to share his parents. Eventually, Mary’s family grew by two sisters, Ruth Elaine and Martha Louise, and another brother, Thomas. Mary grew up in Cincinnati during the 1930 Depression. Her father who worked at a furniture company lost his job when the company closed due to the Depression. Her father went bankrupt and he began working odd jobs in order to provide for his family; he did this for three years. By 1937 her father had lost everything. He then found a janitorial job with the public school system. In 1937 Mary’s mother decided to go to work to help with the family finances. She did house work in various homes. At this time Mary was the oldest at home because her older brother had gone to the seminary. Therefore, Mary had the responsibility of caring for her siblings. She was about ten years old and accepted the challenge willingly. Growing up in Cincinnati, Mary was an avid Cincinnati Reds (baseball team) fan. Actually, she never went to a game but listened to the games on the radio. Mary and her siblings developed “home shows” of singing and dancing to entertain their family. Also, the neighborhood children gathered and performed shows for their mothers for a nickel. Mary gave the money that was collected to her mother. She bought the children some candy which was a real treat because they seldom had candy. The streets were the playground for Mary, her siblings and neighbors. Some of the games they played were red rover, hide and seek, baseball, jump rope and tag. The games were lots of fun and enjoyed by all. Mary went to Resurrection School for grades one through six and Holy Family School for grades seven through eight. The Sisters of Charity of Cincinnati taught in both schools. When Mary went to register at Seton High School she did not know that money for books was required but she did not have any. She did not ask her mother for it because she knew she did not have it. Her mother told her if she had asked her for the money she would have found it for her. In the fall Mary went to Commercial High School, one of five technical schools in the public system. The classes were business oriented but Mary also took a Basic English class. She graduated after two years. While in high school Mary’s neighbor, Myrtle Doll, made clothes for her younger sister, Martha. She taught Mary how to cut and follow a pattern. This proved beneficial later in life. 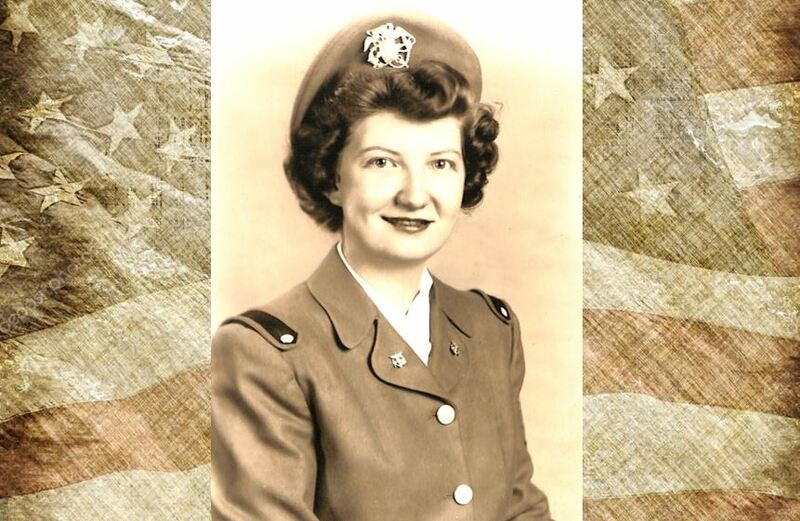 In 1942 Mary was hired at Trumble Electric Company that was making war materials. Mary worked in the payroll office and had to prepare the factory workers’ payroll cards which had to be key punched with each workers’ number. Then the cards were sorted and the hours each worker worked were added. Mary found this very tedious and time consuming. During WWII Mary also worked as an Air Raid Warden for her street. 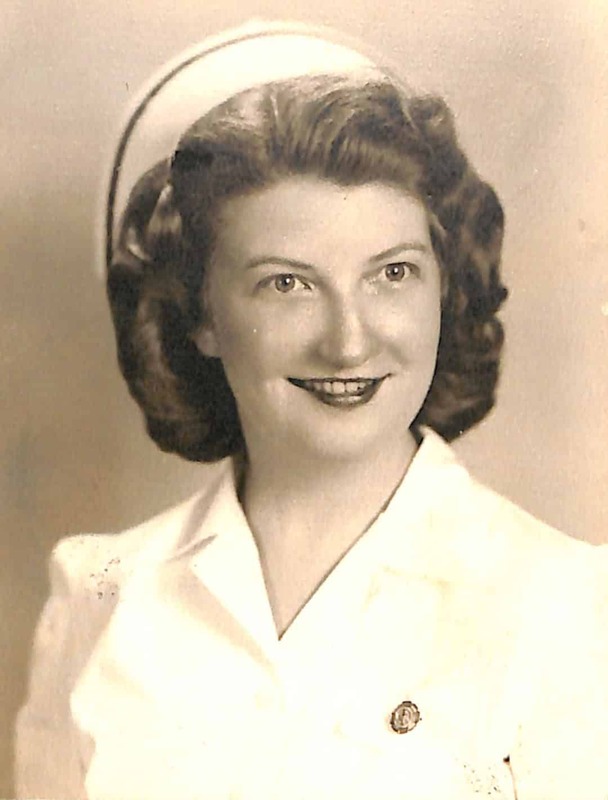 In 1944, Mary’s friend and co-worker, Maxine, decided to enter nurse’s training. Mary thought she would like to do this too, but when she applied she was not accepted because she did not have basic high school courses. Again, Mary was denied an educational opportunity. But this did not deter Mary; she started night classes taking Chemistry and History. She continued to work and volunteer at Good Samaritan Hospital in Cincinnati. Mary believed that this set the path for her career in nursing. In January of 1945, Saint Elizabeth Hospital in Covington, Kentucky was looking for young women to enter into the Cadet Nurse Training Program. Mary thought she would not be accepted because she did not have a traditional high school diploma. She was told that would not be a problem. She was accepted into the Cadet Training Program. The government paid for classes, uniforms and gave the cadets a stipend. This was a three year program but the last six months were to be completed working at various locations. The program ended and Mary was not obligated to go to a workplace. When Mary was a student nurse, a patient, Father George Donnelly deceased, from Saint Patrick’s in Covington, Kentucky asked Mary, “Why are you not at Nazareth?” She replied. “What is Nazareth?” Father George told her about Nazareth. Later, she met some Sisters of Charity of Nazareth when they came to see Father George. “In May of 1947 while working on the floor; I had some time off in the afternoon and on the spur of the moment I went to Father Donnelly and told him I wanted to go to Nazareth in September or I wasn’t going at all.” Father George sent her message to Mother Ann Sebastian Sullivan. He received a response telling Mary to come. Sister Mary shared, “Today the thought came to me, ‘You have not chosen Me but I have chosen You.’” Mary did not inform her family or friends she was going to the convent until she received the acceptance letter from Mother Ann Sebastian. She gave the letter to her parents. Both parents responded, “Do whatever you want.” Her friends did not say much. Mary’s parents did not drive so when it was time to go to Nazareth, Mary caught the streetcar to the bus station in Cincinnati. She rode a Greyhound bus to Saint Joseph Hospital in Lexington, Kentucky. She met a group of young women who were going to Nazareth. A driver from the hospital drove five of them to Nazareth. Mary entered the Sisters of Charity of Nazareth on September 24, 1947. She received the habit on March 25, 1948, and was given the religious name, George Maria. Father George had told Mother Ann Sebastin he wanted that name for Mary as he had led Mary to the community. Later, Mary returned to her baptismal name when it was allowed. The novitiate years were not difficult for Sister Mary. She attributed this to her being older and that she had completed two and a half years of nurse’s training. She was used to structure and went with the flow. In March of 1950 Sister Mary completed the novitiate. Sister Mary made first vows on March 25, 1950 and final vows on July 19, 1953. 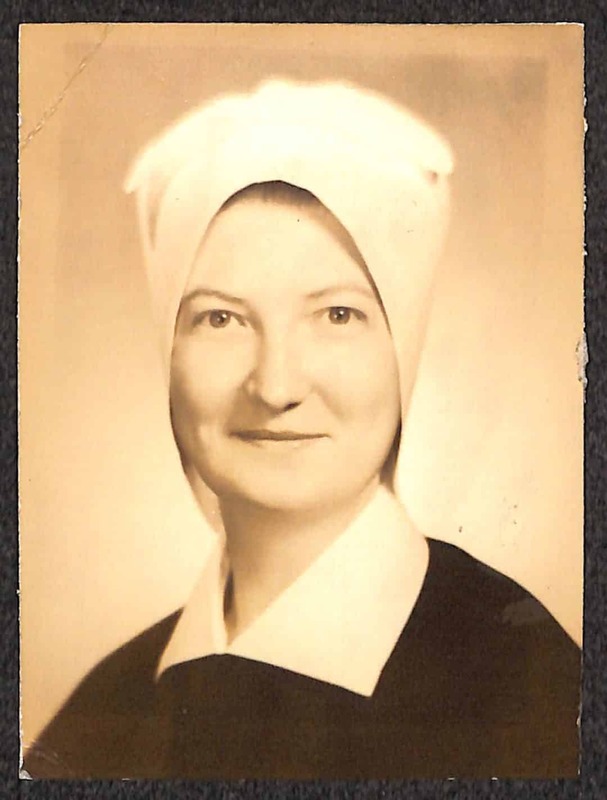 Sister Mary’s first mission was at Saint Joseph Infirmary in Louisville, Kentucky as a senior student nurse. Sister Mary had to have work outside of her classes. She worked at a clinic for the Louisville Health Department. She gave immunizations and physicals for children and made follow-up visits with them at home to make sure they did not have any reactions. She was responsible for the health care needs of her patients. After she graduated she had to take the State Boards and she passed. Then she received her Registered Nurse Certification. She continued to work on the floor at St. Joseph until October, 1951, when she was transferred to Marymount Hospital in London, Kentucky. She was nurse supervisor there until August of 1953. One morning at breakfast her superior informed her that she was to go to Saint Andrew School, and teach grades one through four. Sister Mary said, “I knew as much about teaching as a drop in the bucket!” She also had to prepare lunch for the students. Sister Mary had worked in the emergency room until after midnight. She felt that she was not fit to teach the children, but she did as she was directed. In a few days a Sister was sent to teach so Sister Mary happily returned to her nursing duties. Sister Mary was missioned at various places for only a year each; which at times she found challenging. Eventually, in August of 1953, Sister Mary transferred to Memorial Hospital in Chattanooga, Tennessee until November of 1954. She was night duty nurse supervisor. The doctor occasionally ordered a mixed prescription; and she had to call the pharmacist, and he directed her how to mix the medicine. In the beginning Sister Mary found this a bit of a challenge. In November of 1954, Sister Mary was moved to Saint Vincent Infirmary in Little Rock, Arkansas, where she ministered for almost seven years. When Sister Mary arrived at the old Saint Vincent Infirmary, she was only there about three days before she moved to the new hospital. It was chaotic because the move occurred while they kept the hospital operating. The Sisters’ residence in the hospital was not ready. They were given patient beds temporarily but were moved about because their rooms were needed for patients. When the Sisters’ rooms were finished they were allowed to settle into their new home. Saints Mary and Elizabeth Hospital in Louisville was where Sister Mary was assigned in August of 1961. She worked as a nurse on the floor and also went to school. Although Sister Mary was certified as an RN she did not have a college degree. She began taking classes in 1961, at Catherine Spalding College in Louisville. A requirement for the class was to work in a health facility. Sister Robert Ann Cash would not allow Sister Mary to be a visiting nurse because Sisters were not to mix with the laity. Therefore, she worked in the Louisville Public Health Department. She gave immunizations, examined the babies and made home visits. In May of 1964 a Bachelor of Science in Nursing was conferred upon Sister Mary at the graduation ceremony. “In 1964 a superior came to me while I was at Spalding and said they wanted me to go to Catholic University and get a degree in Public Health Nursing as they needed someone to teach Public Health Nursing in the collegiate program. My response was, ‘You’re kidding, I don’t want to teach.’ I don’t like teaching. I finally gave in.” Sister Mary moved to Washington D.C. in August of 1964 where she pursued a Master in Public Health Nursing at Catholic University. She completed her required work and received her degree in August of 1966. Sister Mary received grants that paid for her education. In August of 1966 Sister Mary began teaching in the collegiate nurses training program at Catherine Spalding College. She taught a Public Health Nurse course and had speakers do presentations for the class. She told the students that their exam would be from information presented by the speakers. The students did not pay attention to speakers therefore they all failed the class. Sister Agnes Miriam Payne required Sister Mary to create another exam so the students would pass. Reluctantly, Sister Mary did as she was directed. In the end the students passed the class. She taught there for two years. Then she returned to Saint Vincent Infirmary for a year before she returned to Saint Joseph Infirmary in August of 1968. She remained there until it was announced that St Joseph Infirmary was closing in 1970. Sister Mary started searching for what she was going to do next. It did not take long before Sister Mary embarked on another nursing ministry. She began working for Project H.O.P.E which was Health Opportunities for People Everywhere. Sister Mary and Sister Agnes Regina Siracusa began this ministry in September, 1970 on the Navajo Reservation in Ganado, Arizona. She was in charge of a clinic under the direction of a doctor thirty five miles away. She gave medications prescribed by the doctor to patients, gave physicals and referred people to the hospital if needed. Sister Mary had a good working relationship with the doctor at the hospital whom she called if she needed assistance. Sister Mary and Sister Agnes Regina left the reservation in December of 1971 and returned to Louisville. Sister Mary was not still for long before she and Sister Agnes Regina set sail with Project H.O.P.E. in January 1972 and headed to Brazil. She departed on the SS HOPE, a hospital ship, from a port in Baltimore, Maryland. Once they boarded the ship, they were given life jackets and instructions on how to wear them. Also, they were given information about the ship. It took seven days to reach Brazil. Sister Mary recalled that on the way several of them got sea sick. After a few days of not eating; they were given anti-nausea pills each morning before breakfast. The pills solved the problem. Sister Mary did not have all leisure time on the ship. The group cleaned and painted the ship while on the trip. They also had classes in Portuguese and instructions on Brazilian culture. There was an initiation when they crossed the equator that was called “Captain Neptune”. They painted their faces and participated in various games to celebrate the crossing. A card was given to them so whenever they crossed the equator again, they would not have to be initiated. 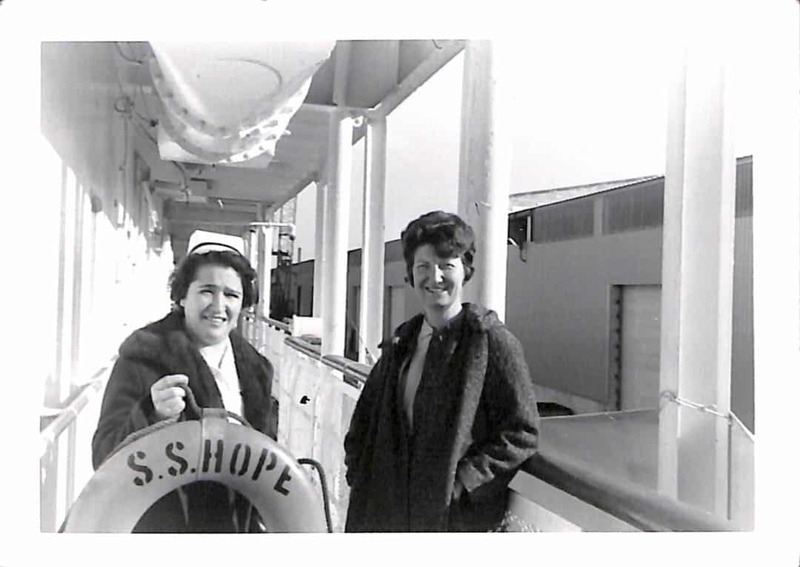 Sister Agnes Regina Siracusa and Sister Mary Elizabeth Middendorf (right) aboard the S.S. H.O.P.E. When the SS HOPE arrived at the Rio Grande de Norte, the mouth of the Potenji River, the natives had to dig out a channel of the river for the ship to fit. The ship docked at Natal, Brazil. Over two thousand people welcomed the ship. On the first day they were taken to see the hospital in Natal. There were no sheets on the beds and no panes in the windows, curtains covered the openings. They also went to a leprosarium and talked with a patient. They saw a man whose fingers were half gone due to leprosy. There were Sisters from five different religious communities working on the ship. The first night they arrived one of the doctors took them all to a restaurant for the evening meal. The Sisters discovered that purses were not allowed on the floor so they had to put them on chairs. At different times groups would go on excursions, one was to see the Amazon River. Sister Mary’s office was on the ship and Sister Agnes Regina worked in the operating room on the ship. They also lived on the ship and would share meals with the workers. A native driver and an interpreter drove Sister Mary to the interior of Natal, Brazil. She observed that the people lived in huts and all the cooking was done outside. The people slept in hammocks. Sister Mary visited, checked and addressed the patients’ health needs. If they had been in the hospital Sister Mary would check their vitals and medications. She taught them how to care for themselves. Occasionally, the priest went with Sister Mary on her visits. One morning at 10:00 A.M. when visiting a family, Sister Mary was offered a beer. She told Father that she did not like beer. He told her she had better drink it; because if she did not their feelings would be hurt. This was a first for Sister Mary, a warm beer in the morning! Sister Mary’s mission in Natal, Brazil was completed in December of 1972. Sister Mary loved her time in Natal. Sister Mary remembers that when SS HOPE began the return trip to the United States a severe storm occurred on their way home. They were given life jackets and given definite directions of what to do until the storm subsided. The ship was tossed back and forth by the huge waves. Sister Mary recalled that it was a very scary experience! She was very happy when the ship arrived at the port in Baltimore. Sister Mary returned to Louisville, December 20, 1972 from Brazil. She wasted no time before she took a position at the Veterans Administration Medical Center in Louisville. Sister Mary provided one on one care for the veterans. If veterans were sent to a nursing home she explained to them how to care for themselves once they left the medical center. Later, Sister Mary followed up with the veterans in the nursing home. It bothered her that some of the veterans did not get the care they needed there. After a year Sister Mary left the Veterans Medical Center and worked at Health Care of Louisville. She worked in a clinic located at St. George’s School on Eighteenth Street. In August 1975 Sister Mary became a student in the Family Nurse Practitioner program in Indiana. The classes were in an area on the University of Indiana campus that was just for those studying to become Nurse Practitioners. Her Anatomy course was an in depth study of all the parts of the human body. She worked with another Nurse Practitioner and they gave physicals for the patients in a doctor’s office. Sister Mary completed the requirements for certification, and after passing State Boards she was certified as a Family Nurse Practitioner. Later, Sister Mary received certification in Geriatrics. Sister Mary worked at Nazareth Home in Louisville from 1976-1992 as a Nurse Practitioner. Sister Mary had an exam room in her office. “When I began as a Nurse Practitioner, the State required all employees to have physical exams to work in a nursing home. I did the physicals on the employees. Flu shots were given to employees and all residents if they wished.” When Sister Mary was Nurse Practitioner at Nazareth Home she was in charge of all health care for the Sisters. In the clinic she would prepare the Sisters for the doctor visits. The doctor came once a week and Sister Mary consulted with him if she needed something. Doctor Russell May, Director of Medical Care and Doctor Deitz Wolfe, his assistant, were very supportive of Sister’s Mary work at Nazareth Home. Sister Mary began a sabbatical in August 1992. She participated in a program offered by the Oblate School of Theology in San Antonio, Texas. The participants were priests, Sisters and brothers who lived together in one building. They took turns preparing liturgies. They took Theology and Philosophy classes. In their free time the group went on various outings. Some of the outings included a trip to Padre Island, an orchard, a San Antonio river walk and to a Mexican market. Sister Mary enjoyed the time shared on their trips. Sister Mary completed the program and the remainder of her sabbatical was spent in Louisville. Sister Mary became the campus nurse for Spalding University in October, 1993. She had a mini clinic where she gave flu shots after she received the prescriptions from the doctor at Nazareth Home. Sister Mary cared for the minor health needs of Spalding students for four years. On October 1997 Sister Mary retired from a nursing career of over forty years. Sister Mary was not one to be idle; after a few months of leisure she volunteered at the Family Scholar House in Louisville. She worked with the Project Women program that was formed to break the cycle of poverty for single mothers through college education. The program helped the women with various needs such as housing and finding jobs. When Sister Mary began in October of 1997 she filed and updated forms and typed minutes from meetings and prepared them for the next meeting. In the later years she only did the bookkeeping. Sister Mary enjoyed her work because she knew it was for a good cause. Sister Mary volunteered for twenty years with Project Women. 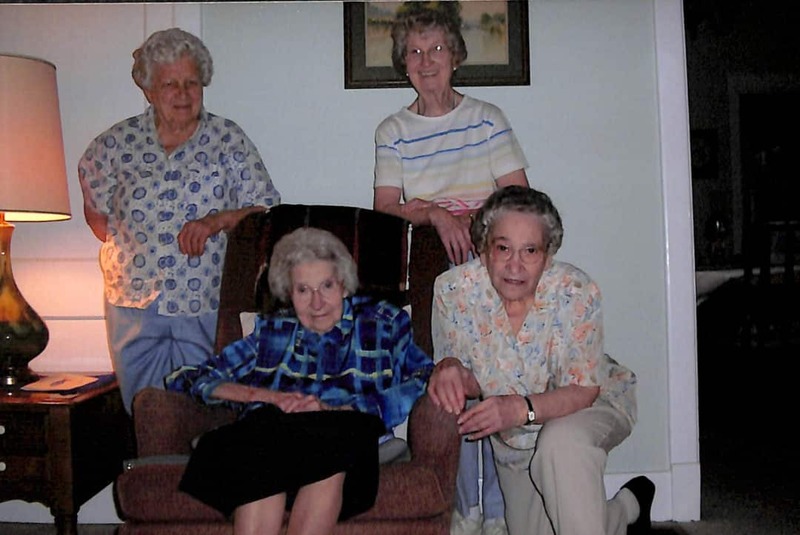 Project Women was not the only group who benefited from Sister Mary’s volunteerism. She was a quilter for Saint Agnes Church and the Little Sisters of the Poor both located in Louisville. 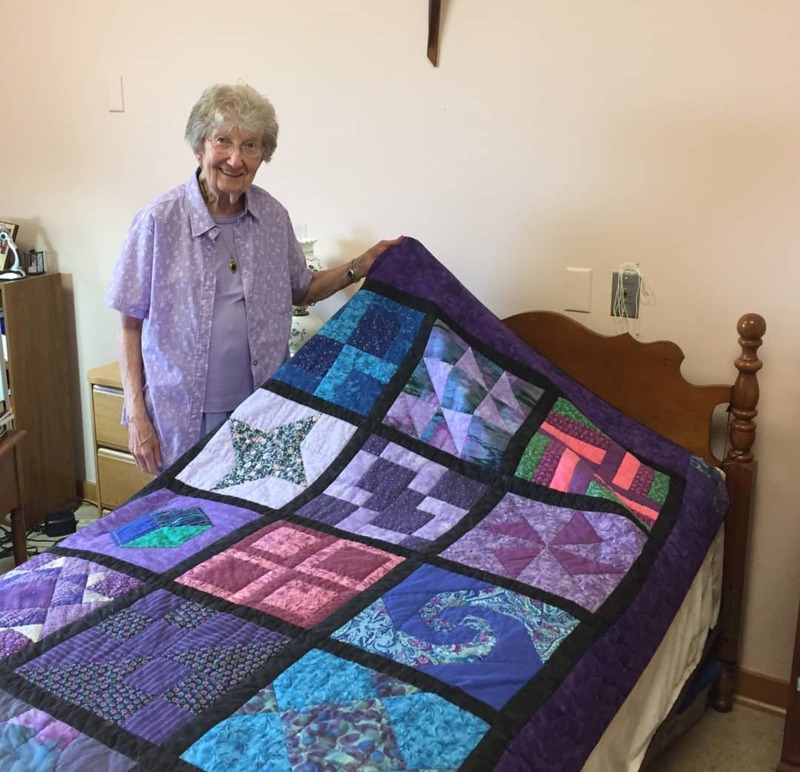 She helped make quilts for their fundraisers to continue their ministries. Today, Sister Mary has a quilt on her bed that she quilted. It is beautiful. Sister Mary moved to the Motherhouse at Nazareth in March of 2017. I asked Sister Mary how she spent her time now that she is retired. She replied, “I am working on a lap quilt and a larger quilt, too.” Sister Mary continued by stating that everything is provided for her. She walks about outside with her “Jitney” (walker on wheels) and participates in exercise classes with Tootsie Gish. She also does a lot of reading of various types of books and participates in any activities that are offered. She is willing to help wherever there is a need. Sister Mary shared that the poverty she saw in Natal, Brazil left a lasting impression on her. She has never seen such poverty anywhere else in her life. Sister Mary described her life as a Sister, “It’s A Good Life.” She has not been limited and has done what she wanted throughout her life. I enjoyed Sr. Mary’s life story so much. I have always admired her. She was always so generous with her time and care for others. Mary was a great support top me when I was Regional in Louisville. She was on the Region Board also. I appreciate her friendly smile and interest she shows everyone. Thanks Mary!